You may or may not recall that a few weeks ago Jason and I attempted to have dinner on a Friday night at the Chuy's on Westheimer in River Oaks, only to circle the crowded parking lot three times looking for a vacant spot, shake our fists in the air for this incredible injustice befallen upon us, and head on over to El Real. This time we were prepared. This time we said, "What has become of us? In New York we would have never let a crowded parking lot deter us! And why is that?! Because we walked everywhere." 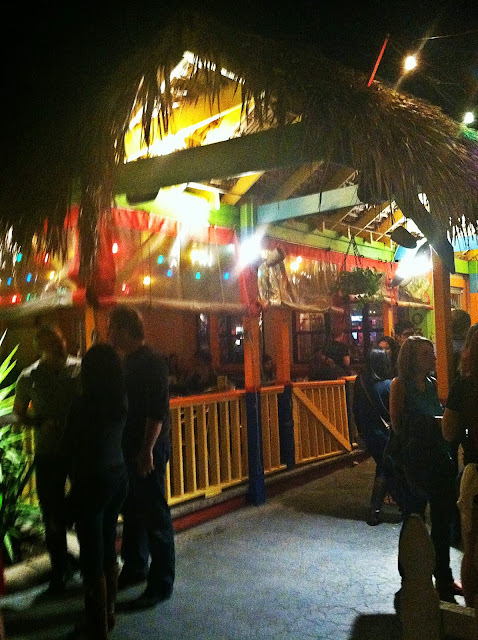 That's right - We put on our best tennies and walked to Chuy's last Friday night. So Un-Houston of us. And I only almost got hit by a car two [and a half] times, so I'd say it was a success! 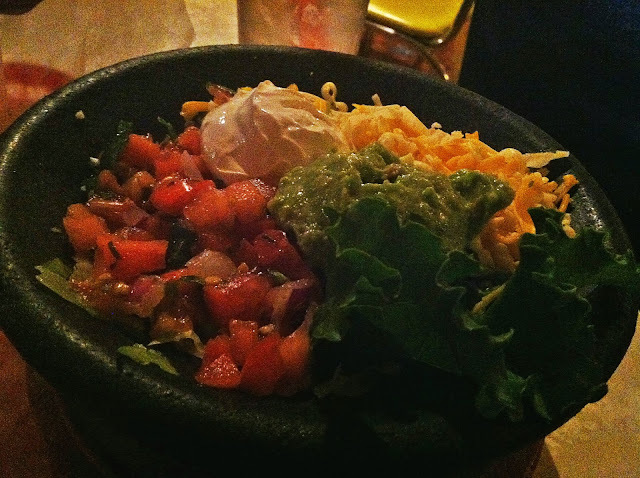 In addition to the success of our treacherous walking expedition (In all actuality it was maybe .024 miles, so don't listen to a word of my nonsense), I would say our dining experience at Chuy's was also a success! Isn't that pretty? I'm still a weirdo who isn't crazy about margaritas, yet I always seem to order them because I guess I always hope for them to knock my socks off. 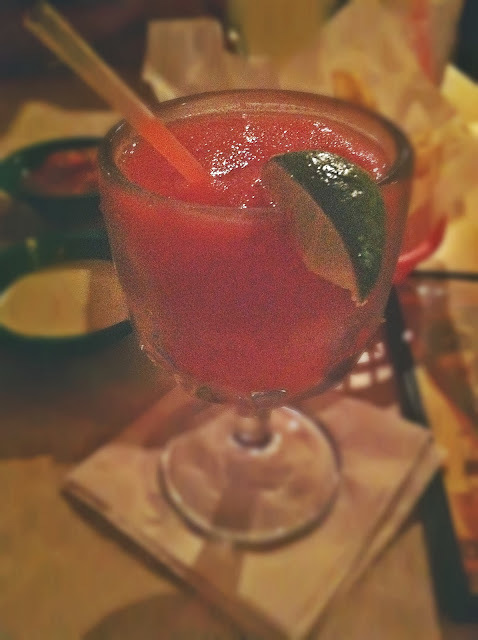 I ordered a strawberry marg, and it was as good as any margarita I've ever had. I just think maybe what I'm really looking for is a strawberry daiquiri. Which is so not the same. See? It's not you, it's me Margarita. So if you like margaritas, you'll like this one. Jason said so. 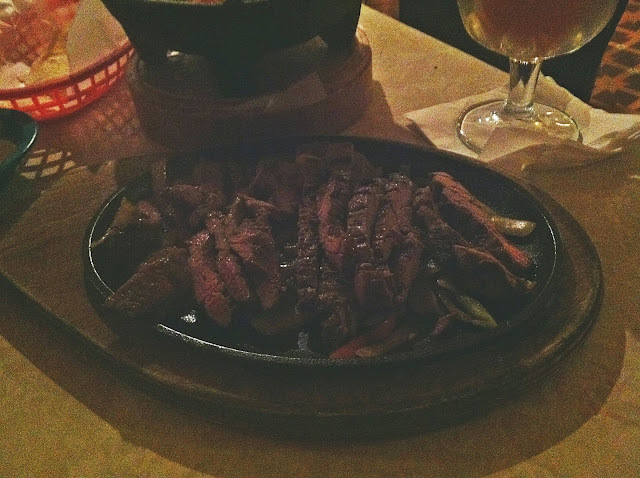 For my entree I ordered the fajitas, and they were pretty standard (Read: Awesome). 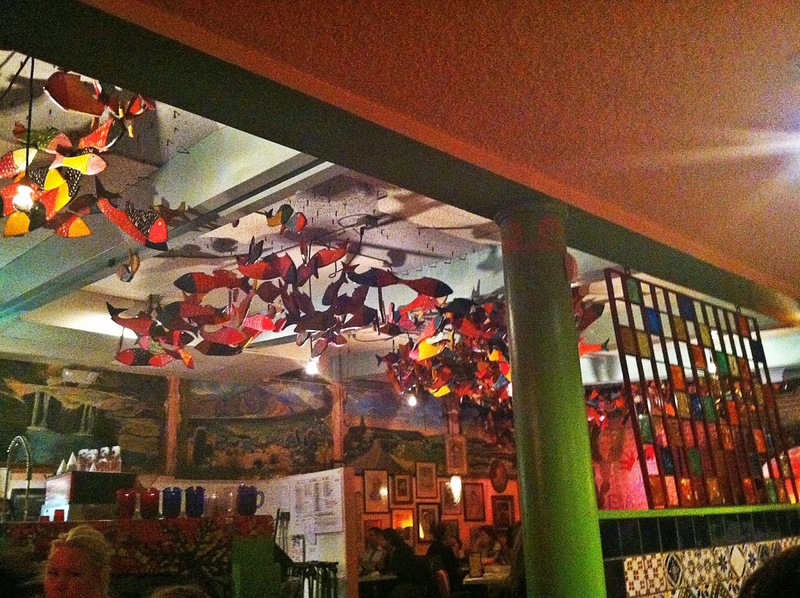 The Fillet Fajitas at El Tiempo still reign supreme (seriously, GET THEM AND NEVER LOOK BACK. 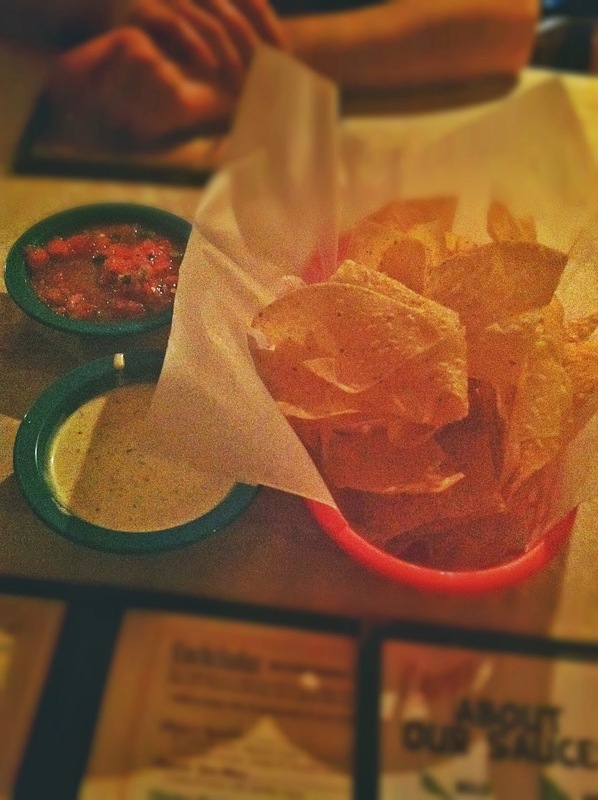 ), but the ones at Chuy's were definitely good. I was glad I ordered them. Jason got this combination. I'm not really sure what it was (Beef taco? Cheese enchilada? Mexican smooshy goodness? Yes. ), but he seemed to really enjoy it! 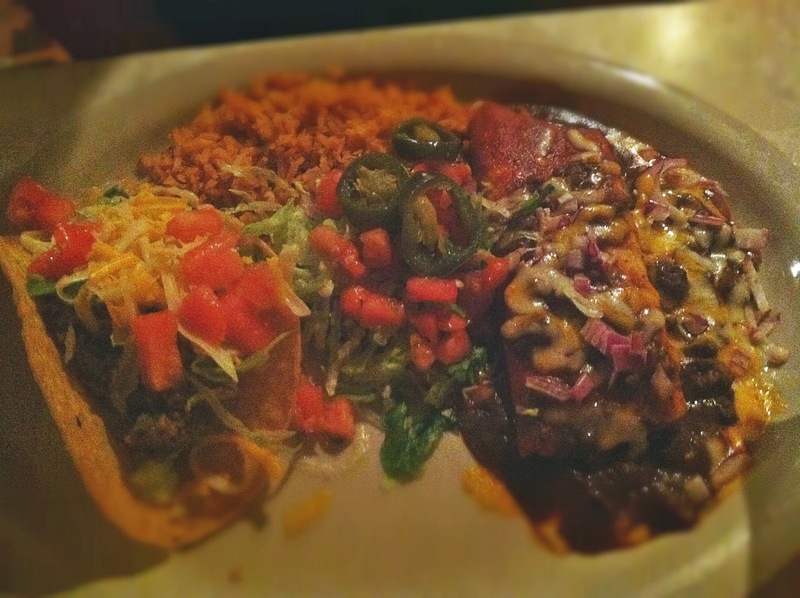 For a popular chain with locations in places like Florida and even Virginia, Chuy's is a much-beloved Tex-Mex stop for Houstonians. It's definitely worth a visit and won't break the bank. Just, if you walk, please promise me you'll look both ways before crossing the street. Pedestrians seem to confuse Houston drivers.